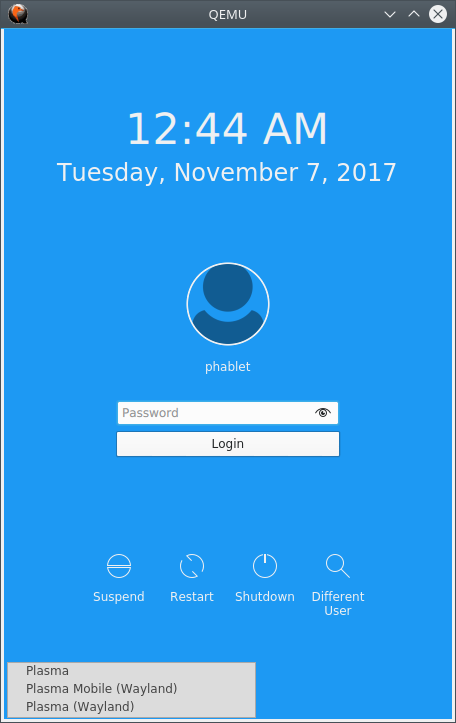 If you want to develop for Plasma Mobile, but you don’t have a Mobile device, it is useful to emulate a Plasma Mobile on your desktop or laptop. Earlier this was not documented and has been asked multiple times on how to achieve this. 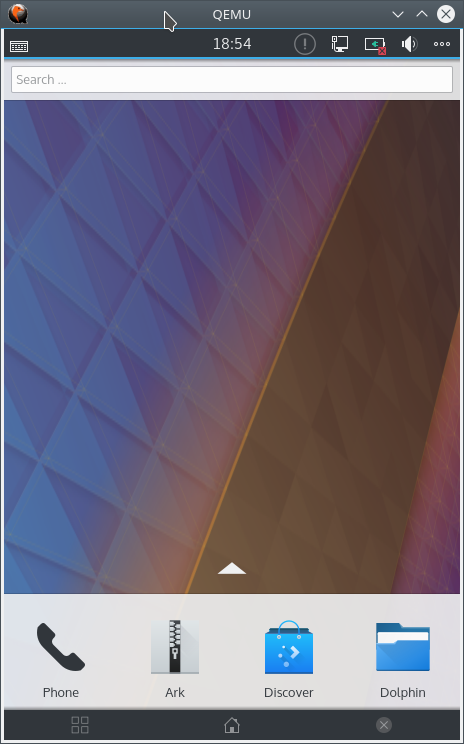 This blog post is intended to help install a Plasma Mobile on the qemu-x86. First of all create a qemu-image of 10GB size. 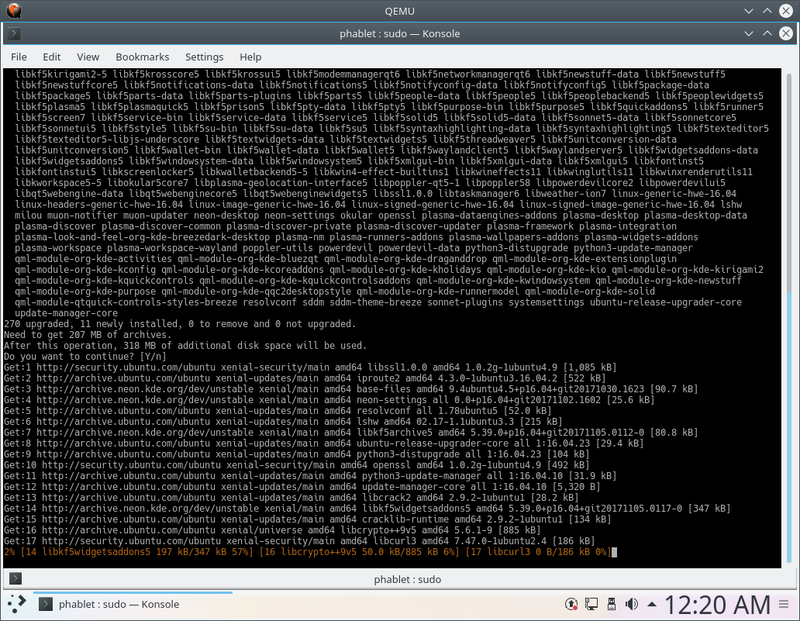 Start the qemu system with the downloaded the KDE Neon ISO. 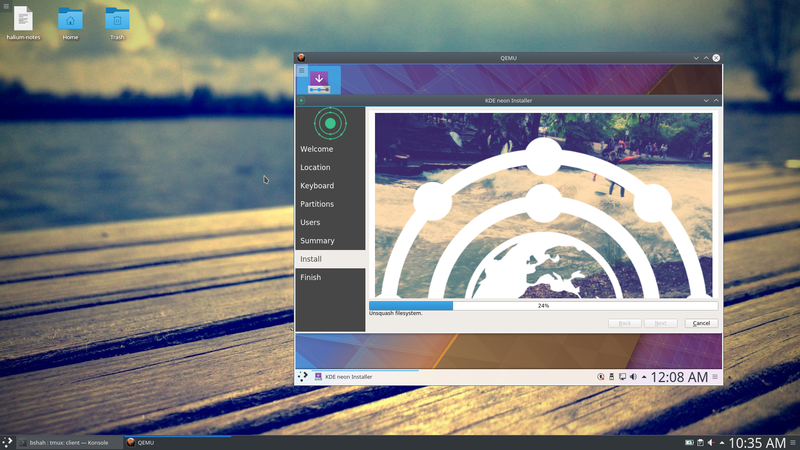 This will boot the KDE Neon system with Plasma Desktop. You will need to use Calameras to install the Plasma on the virtual machine. Once installed, shutdown the virtual machine and restart the machine without ISO attached. In the virtual machine, open konsole and add the repository for Plasma Mobile. Install the Plasma Phone shell and configuration for Plasma Phone. 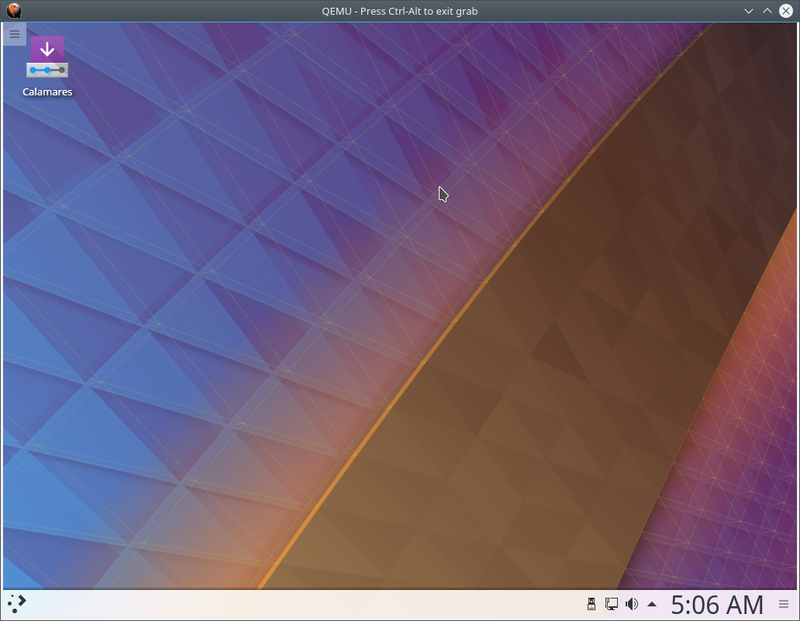 Logout from the Desktop Session and select the Plasma Mobile (Wayland) session. This steps will start Plasma Mobile session. Please note that this steps are experimental at the moment, I am working on providing pre-built ISO images which will not require the KDE Neon developer edition ISO.